Next year marks the 65th anniversary of the Corvette, and though the traditional 65th anniversary gemstone is blue sapphire, Chevy has chosen instead to commemorate the milestone with carbon. 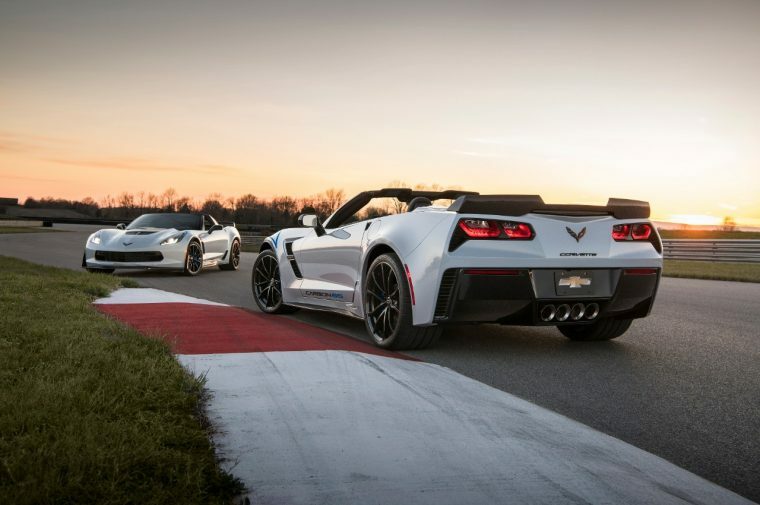 Today the bowtie brand announced that a new Corvette Carbon 65 Edition will be offered on 2018 Grand Sport 3LT and Z06 3LZ models. Available this summer for $15,000, the Corvette Carbon 65 Edition package will feature both visible carbon-fiber exterior elements—such as a new carbon-fiber rear spoiler and quarter ducts—with a Ceramic Matrix Gray paint job and interior appointments including a carbon-fiber-rimmed steering wheel. The special edition Vette will be limited to just 650 numbered vehicles globally. 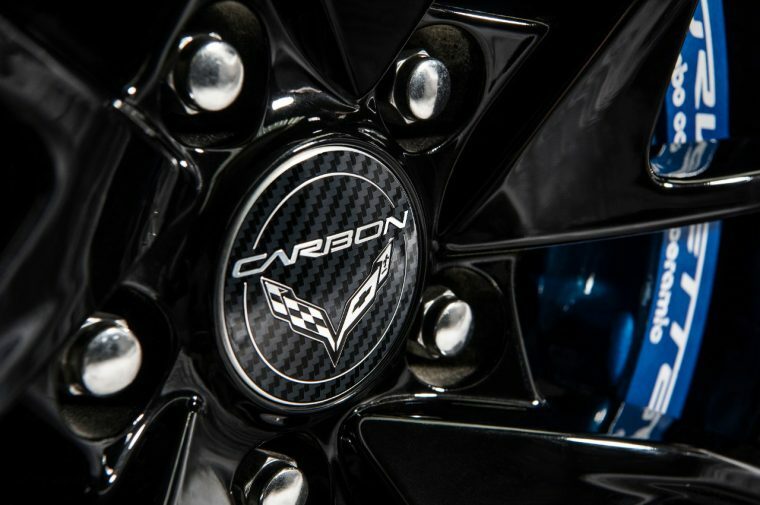 In addition to the aforementioned features, the Carbon 65 Edition package will also come with unique fender stripes and door graphics, black wheels with machined grooves paired with summer-only tires (Cup-style wheels for Grand Sport and Blade-style wheels for Z06), and blue brake calipers. The exterior will also include visible carbon-fiber ground effects, hood section, and roof (or tonneau inserts on convertible models). Carbon 65s will also feature new visible carbon-fiber spoilers, and quarter intake ducts on coupe models. 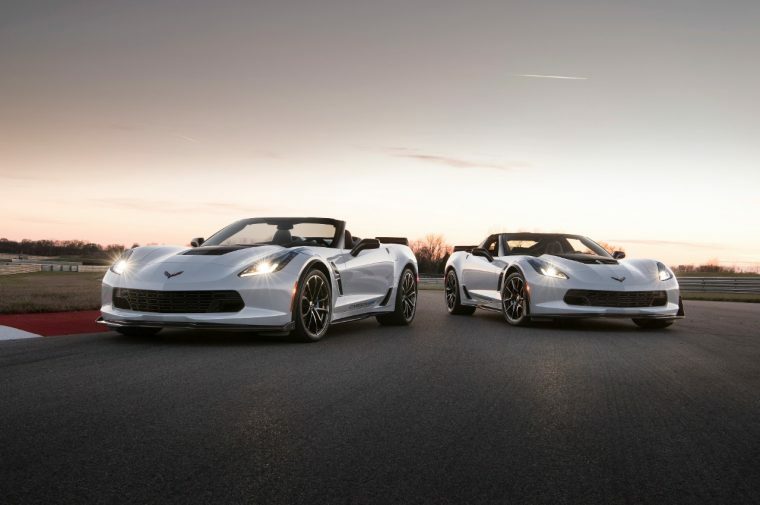 All anniversary Corvette models will also feature center caps with the Carbon logo and Carbon Flash badges and outside mirrors. Inside, customers will find a Jet Black suede-wrapped interior with blue stitching, carbon-fiber steering wheel rim, gloss carbon-fiber interior trim, Competition Sport seats, and Carbon 65 Edition sill plates.